Desc: Sterling Silver hunter jumper necklace. The Sterling Silver chain is heavy duty cable link and has a spring ring clasp. 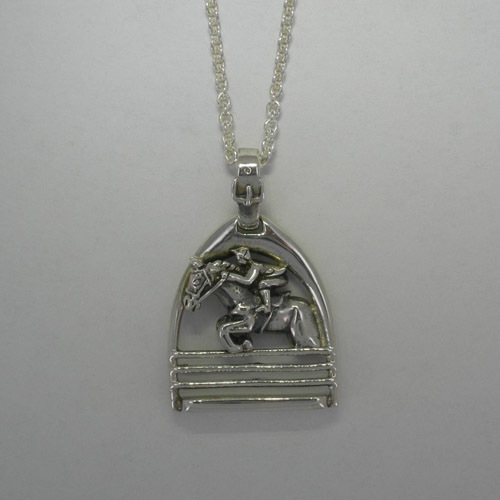 The pendant is fashioned to resemble an English stirrup iron with a rider and horse jumping through the center of the stirrup and over a jump. The bale is fashioned to resemble stirrup leathers. The necklace has a bright polish finish. This necklace is made in the United States of America.